London, UK, 25 May 2018 – The freight market for S/R (Handysize) vessels will remain under pressure throughout 2018 on account of strong fleet growth and weak olefin trade, according to the latest edition of the LPG Forecaster published by global shipping consultancy Drewry. The market has been under pressure since 2017, but olefin trade growth has averaged 3.1% annually over 2012-17, down from 4.0% during 2007-12. Although s/r vessels can also carry LPG, the market is oversupplied with bigger f/r vessels and there is limited employment opportunity in this trade for Handysizes. There are several factors explaining the weak trend in olefin trade, ranging from sporadic production problems in the Middle East to tepid growth of the global economy. Moreover, there is also a preference to export olefin derivatives rather than olefins themselves on account of better margins in the former. For instance, during the first quarter of this year in the US, the difference between ethane and ethylene prices was around $335 per tonne and that between ethylene and HDPE (injection grade) was around $745 per tonne, thus leaving a greater incentive to produce HDPE. 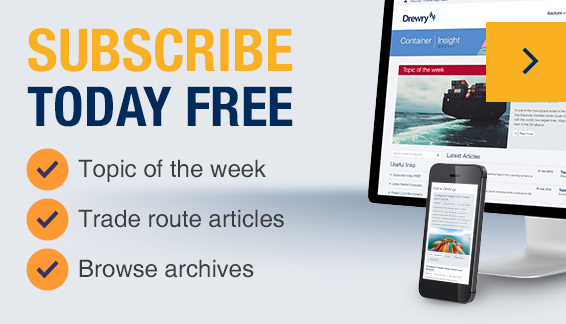 “Considering these factors and port infrastructure development, we are of the view that the olefin trade is unlikely to grow strongly in the short term,” commented Shresth Sharma, Lead analyst for gas shipping at Drewry. Fleet growth in the Handysize segment will remain strong, at 9% in 2018, which will keep the freight market for these vessels under pressure throughout the remainder of the year. “However, as the fleet growth slows down from 2019 and gas trade (olefin and LPG combined) continues to expand around its organic pace of 4% annually, the freight market should start recovering in 2019,” added Sharma.